Learn about the origins of our city. Explore the geographic locations, neighborhood associations, and current projects of Muncie’s more than 50 neighborhoods. The Delaware County GIS Department has produced a robust collection of maps related to Muncie and Delaware County. 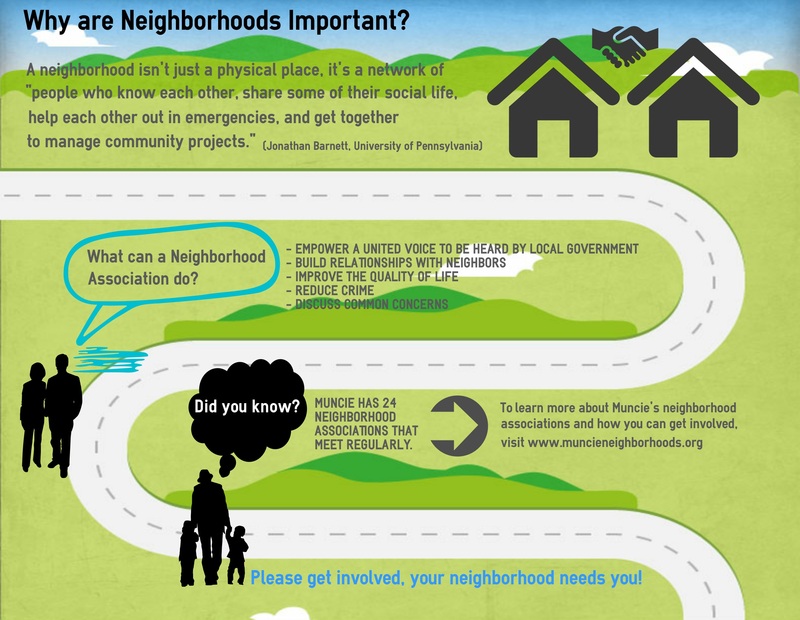 Check here for the latest updates on Neighborhood Presidents Council meetings, Muncie strategic plans, organizations and agencies that help you accomplish your neighborhood’s goals. Browse these galleries for glimpses of exciting Muncie events and initiatives – and feel free to share or contribute!